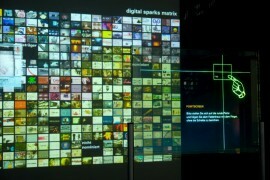 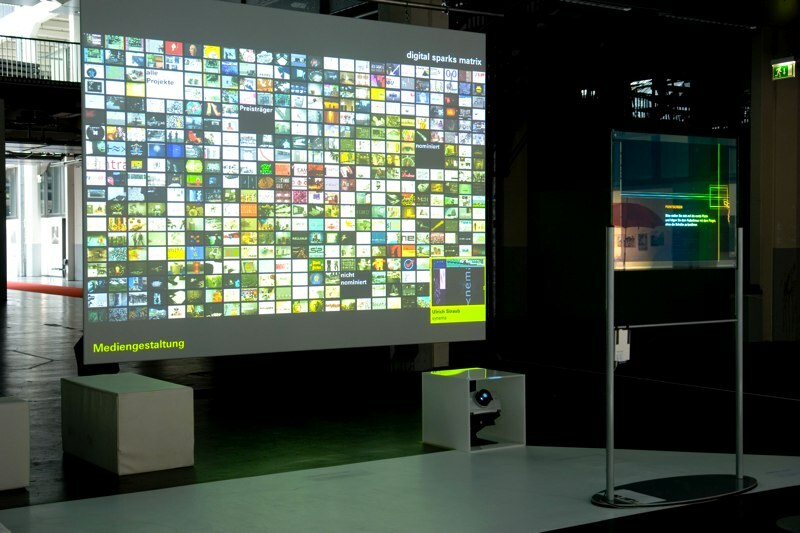 An interactive installation for browsing and researching all of the projects submitted to the Digital Sparks Award. 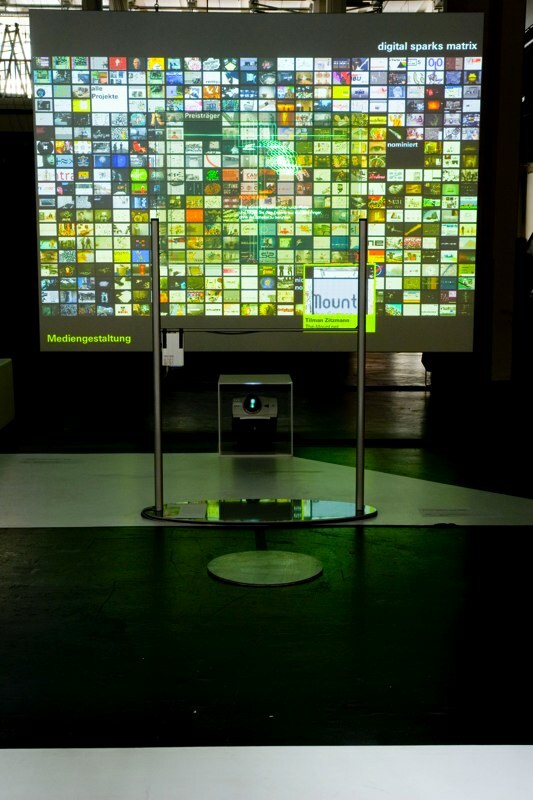 Through an image matrix, which serves as the graphic interface of the installation, each project is represented by an individual image. 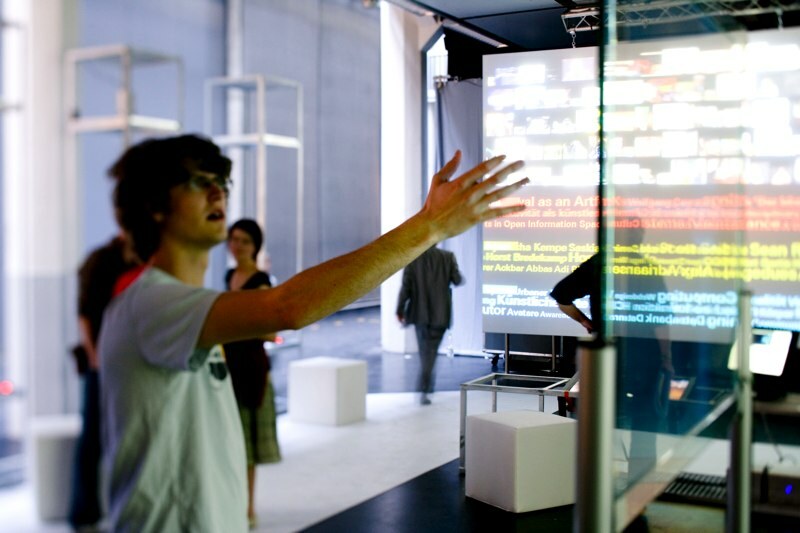 Information about the individual projects can be accessed using simple gestures: with a movement of the arm the viewer positions a virtual lens over the image matrix. 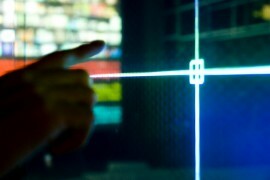 If he or she points for a longer time at an image, a short film about the chosen project is started. 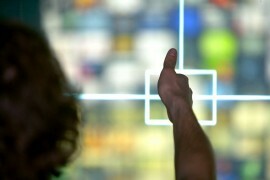 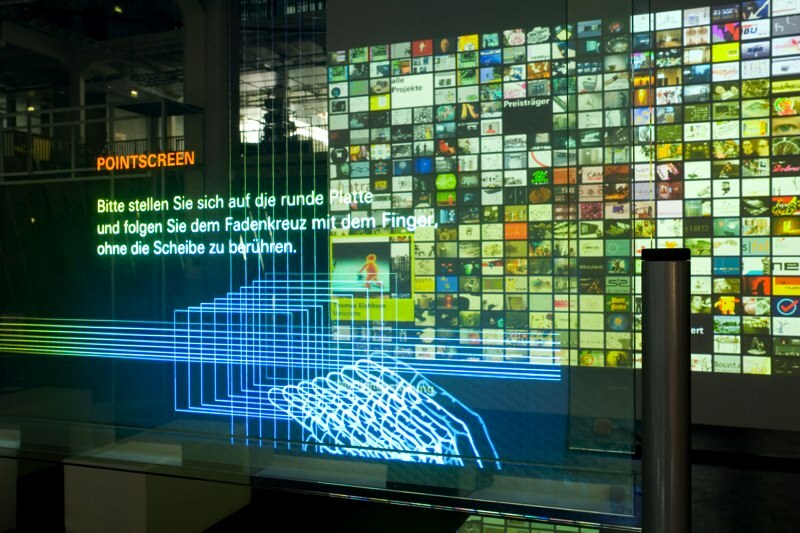 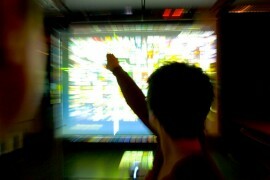 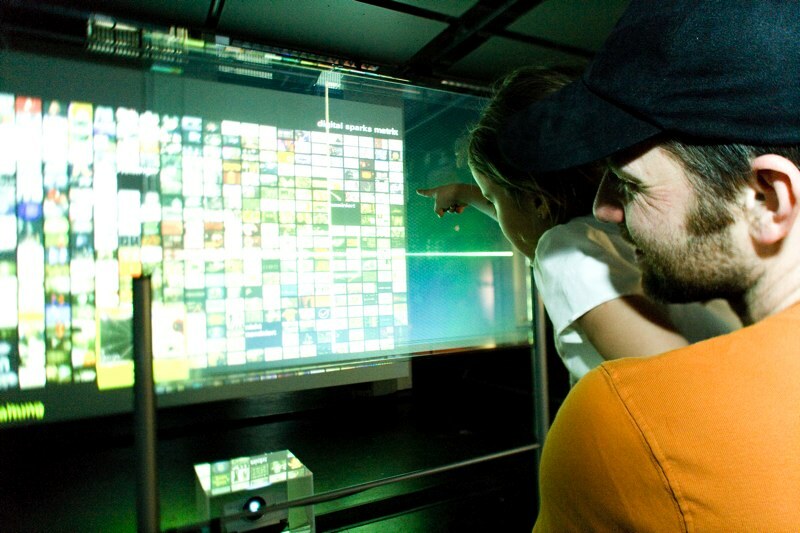 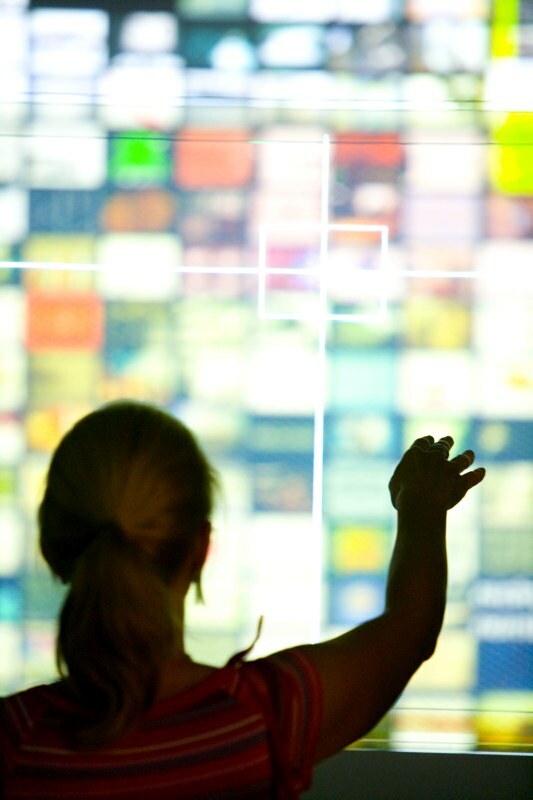 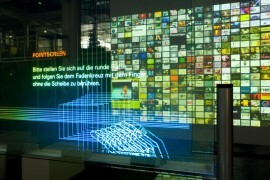 This gesture-based, touchless interaction is made possible by the PointScreen technology, which the eCulture Factory especially developed for use in public spaces. 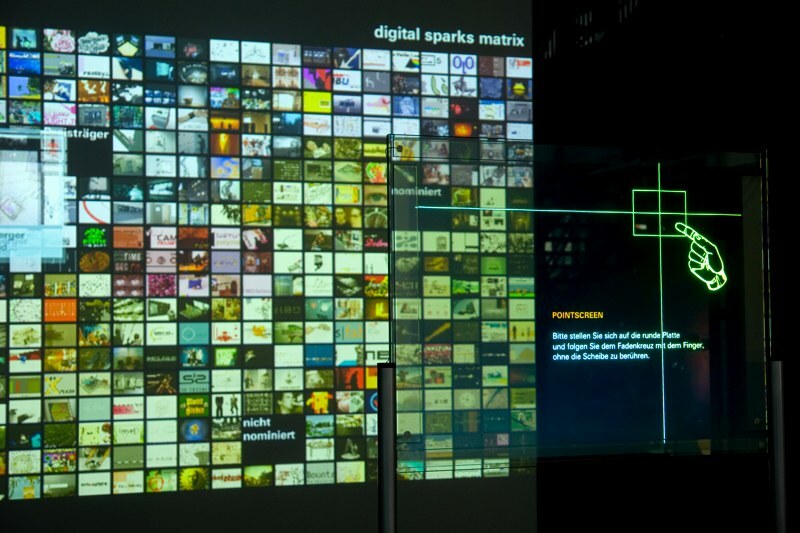 The “Digital Sparks Matrix” is a spatial staging of digital information and presents, in exemplary form, an image oriented access to databases.